Last week, State Rep. Matt Lesser (D-13th Dist.) released the following statement concerning homeless veterans. In it, he claims there are no longer any homeless veterans in Connecticut. When I read this, I reached out to an area veteran who is active in the cause of helping homeless veterans. This is what he had to say: "For him to say there are no more homeless veterans in Connecticut is a joke. I am not going to comment further on this matter . I am just tired of the lies." "We owe everything to our nation’s veterans. Unfortunately, we have not always given returning veterans the appreciation and support they need. "I am working to reverse that. And that’s why I am happy to report that Connecticut is the second state to eliminate chronic homelessness among veterans. In Middletown, we are doing our part. 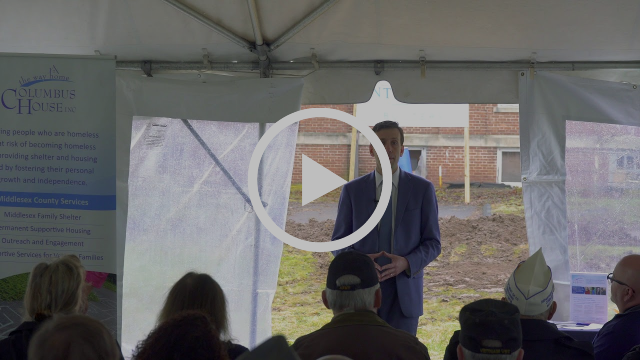 "Now, after five years of work, we have broken ground on 32 new units of supportive housing – with a focus on housing veterans in need -- at Shepherd Home Veterans Housing. The legislation enabling the conversion of the vacant Shepherd Home was a bill I authored (SS PA 16-1). I also chaired the Emergency Committee in 2013 that found housing for every former resident of Shepherd Home when it closed." 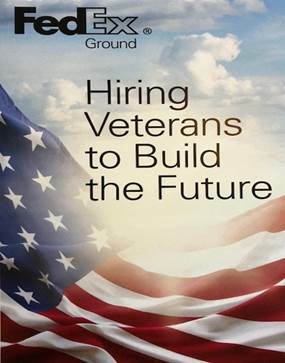 "In more good news for veterans in Middletown, FedEx Ground is looking to hire veterans to help the company grow as it establishes its new facility on Middle Street. To apply or learn more about FedEx Ground, visit GroundCareers.fedex.com or contact Leslie Caye, Talent Acquisition Coordinator at leslie.caye@fedex.com fax: 901 468 0469."